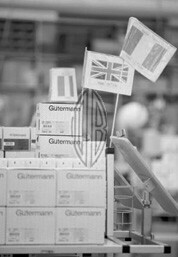 With a large variety consisting of tens of thousands of Gütermann industrial put-ups in our New York City inventory for immediate local availability, Oshman Brothers is the United States most complete in stock Gütermann Industrial Distributor. Furthermore as Gütermann's Direct Sales Representative for the area, we evolve with our customers into large scale production and can gladly be your connection to a world of local, national and international delivery, use and support. 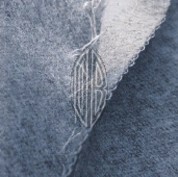 >For instance when it comes to a garments underthread, visible thread impressions on the outside of the garment are a common problem and factories spending more of their pressers time folding back their seams to avoid impressions is a loss and it ultimately does not solve the problem for the end user of the garment. 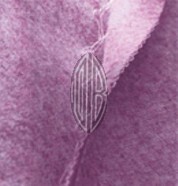 It is not uncommon to find famous label apparel coming back from the dry cleaners with overall visible underthread impressions on the outside of the garment, much of which can be avoided. 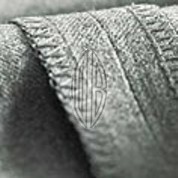 For the manufacturer of a garment their end users "impression" or lack there of, can be key in the perception of the garment manufacturers quality and whether or not they will be a repeat customer. 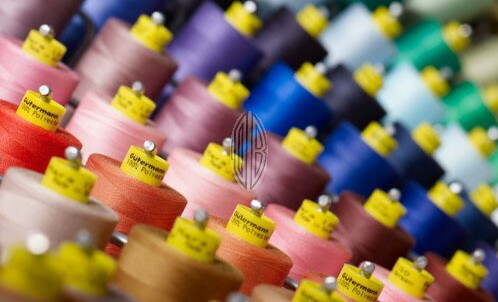 We offer a variety of thinner, softer and stronger threads in a variety of constructions, chosen depending on your fabric, application and particular taste. There are long fiber, semi-translucent and texturized types of thread which could all be instrumental in the reduction and elimination of impressions. 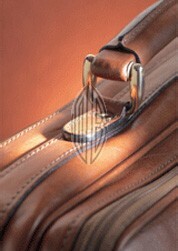 We have a broad range of colors, a variety of lengths and an unmatched team of technical, sales and production experts. 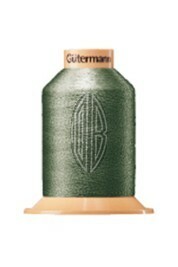 >Gütermann Diva Thread: Special sewing thread for distinctive decorative seams. The new innovative 2-color, bi-fiber composition shows absolute durability for hard-wearing seams and is qualified for enzyme and industrial washing. Select a color here: 1 Eggshell 8 Nickel 11 True Navy #3 12 18 Dark Emerald 23 Dark Chestnut 26 Paprika Red 32 35 Dark Platinum 36 Hoboken 38 Silver(OUT OF STOCK) 40 Medium Grey 46 Crimson(OUT OF STOCK) 64 Chicory 65 82 Winter Apple 106 Gold Coin(OUT OF STOCK) 111 Off White 124 Dark Camel 130 Polish Purple 132 139 Marron Glace 155 Toboggan 156 Bright Scarlet(OUT OF STOCK) 160 175 Anglo Brown 180 Oakleaf 186 Sand 188 California Gold 197 Northern Blue 199 Flax Beige 214 Banda Blue 221 Molten Copper 230 Terra Cotta 232 Yale Blue 237 Engadine 276 Falaise Blue 297 Samoa 299 (OUT OF STOCK) 304 Dark Biskra 310 Light Navy(OUT OF STOCK) 311 Chip Blue 312 Dilly Blue 331 Spring Sky 339 True Navy #2 340 Geneva Green 369 Brandywine 396 Town Green 401 Dougherty Green 402 Magic Green 406 Deep Brown 414 Bourget Cream 428 439 Cocoa Tan 444 448 Taffy Tan 454 464 Canvas Beige 472 Gothic Green 483 512 Plum 528 540 542 575 Black Grape 634 Grey(OUT OF STOCK) 650 Punch Brown 659 Rosy Cheek(OUT OF STOCK) 665 Midnight Navy 676 682 689 694 New Chestnut 696 Colonial(1) 697 Dark Walnut 701 Slate 702 Dark Continent(OUT OF STOCK) 707 Spectrum Green(OUT OF STOCK) 722 Lite Suntan 727 800 White 802 Pearl 810 Wild Grape 815 Biscuit Tan 868 Dark Beige 931 Hunt Green 934 Auburn 968 Chamois 999 (OUT OF STOCK) 000 Black 1274. Price breaks for this product allow you to mix any colors to meet the quantity. Select a color here: 1 Eggshell 8 Nickel 11 True Navy #3 12 18 Dark Emerald 22 23 Dark Chestnut 25 North Blue 32 35 Dark Platinum 36 Hoboken 38 Silver 40 Medium Grey 46 Crimson 50 52 Carolina Rose 64 Chicory 65 66 RK Navy(2) 68 74 75 Chambray Blue 76 80 Clove Rose 82 Winter Apple 89 93 Medium Gunmetal 95 106 Gold Coin 108 Malaga 111 Off White 112 Bali Blue 118 Tuskegee Grey 122 124 Dark Camel 130 Polish Purple 131 132 139 Marron Glace 141 155 Toboggan 156 Bright Scarlet 160 164 170 Dark Buff 179 Pyrite 180 Oakleaf 186 Sand 190 196 Empire Blue 198 Beige 199 Flax Beige 203 208 209 210 213 Light Wedgewood 214 Banda Blue 215 Smoky Beige 221 Molten Copper 222 226 230 Terra Cotta 232 Yale Blue 239 Manana Green 241 Beaver 245 Classic Clay 249 263 Banzar Beige 264 265 Liama 269 Dark Olive Drab 275 276 Falaise Blue 278 Stevens Blue 283 Ripe Rind 286 291 Violet 299 308 Dark Vault 309 Madeline Blue 310 Light Navy 312 Dilly Blue 315 Dark Sapphire 322 Light Royal 324 Imperial Purple 339 True Navy #2 364 True Red 365 Artillery 368 369 Brandywine 373 382 Raspberry 383 Carmine 387 Dark Navy 391 Naples Grape 392 Grape 401 Dougherty Green 405 406 Deep Brown 412 Burnished Gold 414 Bourget Cream 416 Gold 417 Florida Gold 422 French Beige 428 429 Claret 432 Tangy Drab 435 Limoges Blue 439 Cocoa Tan 444 446 450 Light Chestnut 453 454 461 464 Canvas Beige 467 469 Burnt Taupe 473 Pink Tulip 480 483 488 493 495 496 497 Stormy Channel 512 Plum 528 537 Blue Jean 542 545 575 Black Grape 578 Light Lemon 580 Lemon 582 591 593 Dusk Blue 595 610 Eggshell Cream 631 Wildheather 633 634 Grey 635 636 649 650 Punch Brown 665 Midnight Navy 669 671 674 Colonial Brown 676 678 681 682 687 694 New Chestnut 696 Colonial(1) 697 Dark Walnut 701 Slate 702 Dark Continent 707 Spectrum Green 716 Dark Lilac 722 Lite Suntan 724 Aswan Beige 727 759 Medium Blue 761 Blue Donahue 764 Greenish Navy 767 769 780 786 788 Marine Aqua 799 800 White 802 Pearl 815 Biscuit Tan 817 824 Olive Drab 827 850 851 854 868 Dark Beige 875 Steel Grape 887 Gillagan Beige 893 Tan 903 Copenhagen 904 909 Dark Carmine 913 925 Alpine Green 932 Patio Rust 937 Engadine 965 Williamsburg Blue 968 Chamois 972 991 Peach Beige 998 999 000 Black 1217 1218 1254 1274 1341 1471 1622 1643 1762 1826 1889 1932 2037 2111 2604 2613 2723 2738 2826 2878 2958 3454 3529 3606 3681 3725 3796 3811 3830 3852 3889 3947 3964 3969 3977 4032 4064 4147 4534 4567 4615 4655 5039 5096 5102 5226 5543 5618 5822 6011 6214 6415 6712 6747 7112 7568 8102 8239 8607 8772 8966 9110 9219 9299 9333 9414 9444 9478 9508 9606 9833. 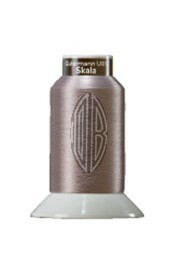 This product is, as the above two products describe, but in the latest multicolored sewing thread available in Mara 30 Raised Decorative or Mara 70 Decorative sewing weights, offers additional variation for decorative features - mainly used for button facing, waist stitching, bar tack or buttonholes. 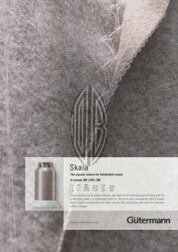 Select a weight here: Mara 30 Raised Decorative, Tex 100 / 328 yards Mara 70 Decorative, Tex 40 / 765 yards. Select a color here: 800 White 802 Pearl 815 Biscuit Tan 215 Smoky Beige 696 Colonial(1) 372 365 Artillery 194 Agram Blue 387 Dark Navy 824 Olive Drab 40 Medium Grey 701 Slate 000 Black. Select a color here: 111 Off White 156 Bright Scarlet 362 Aztec Gold 414 Bourget Cream 676 696 Colonial(1) 701 Slate 000 Black. Select a color here: 800 White 111 Off White 414 Bourget Cream 327 Yellow Corn 300 Bronze 448 Taffy Tan 452 450 Light Chestnut 650 Punch Brown 124 Dark Camel 868 Dark Beige 724 Aswan Beige 186 Sand 232 Yale Blue 367 Signal Red 156 Bright Scarlet 696 Colonial (1) 969 831 172 13 Aloha Navy 925 Alpine Green 707 Spectrum Green 237 Engadine 676 299 131 36 Hoboken 701 Slate 634 Grey 000 Black. 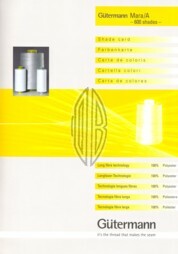 Applications include decoratives seams, highly stressed seams, technical textiles. We stock 4 neon colors! Select a color here: 3835 Neon Yellow 3836 Neon Green 3722 Neon Pink 3871 Neon Orange. 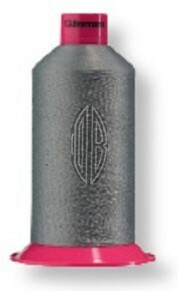 Applications include decoratives seams, highly stressed seams, technical textiles. Offers additional variation for decoratives features. 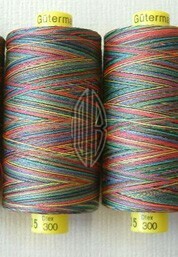 We stock this Tera version similar in colors to the above pictured Mara Multicolor thread. Select a color here: 1 Eggshell 5 String Beige 7 Sunray 8 Nickel 11 True Navy #3 12 13 Aloha Navy 16 Steaming Red 18 Dark Emerald 23 Dark Chestnut 26 Paprika Red 32 35 Dark Platinum 36 Hoboken 38 Silver 40 Medium Grey 46 Crimson 52 Carolina Rose 53 64 Chicory 65 66 RK Navy(2) 74 75 Chambray Blue 80 Clove Rose 82 Winter Apple 86 93 Medium Gunmetal 95 96 98 100 Mignonette 106 Gold Coin 107 111 Off White 112 Bali Blue 118 Tuskegee Grey 122 124 Dark Camel 130 Polish Purple 131 132 139 Marron Glace 141 143 Airway Blue 148 154 155 Toboggan 156 Bright Scarlet 158 Asta 160 163 165 Tea Rose 169 Jasper 170 Dark Buff 174 Dark Cordial 175 Anglo Brown 179 Pyrite 180 Oakleaf 186 Sand 188 California Gold 189 Peacock Teal 190 192 Aqua Blue 193 195 Mahara Blue 197 Northern Blue 198 Beige 199 Flax Beige 202 Crushed Grape 208 209 210 211 Light Lilac 214 Banda Blue 215 Smoky Beige 221 Molten Copper 222 223 Boxwood 224 226 Retail Red 230 Terra Cotta 232 Yale Blue 237 Engadine 241 Beaver 245 Classic Clay 247 Purple 249 252 254 257 Dark Grape 258 B-Taupe 259 Londonberry 262 263 Banzar Beige 264 265 Liama 269 Dark Olive Drab 274 275 276 Falaise Blue 278 Stevens Blue 283 Ripe Rind 286 292 297 Samoa 299 300 Bronze 302 304 Dark Biskra 307 Golden Honey 308 Dark Vault 309 Madeline Blue 310 Light Navy 311 Chip Blue 312 Dilly Blue 315 Dark Sapphire 320 Solar Glow 321 Fuschia 322 Light Royal 324 Imperial Purple 325 327 331 Spring Sky 336 Spring Green 339 True Navy #2 340 Geneva Green 350 Burnt Orange 351 Sunburst 362 Aztec Orange 364 True Red 365 Artillery 367 Signal Red 368 Spring Wine 369 Brandywine 373 382 Raspberry 383 Carmine 384 Dan Red 385 386 Brilliant Sapphire 387 Dark Navy 391 Naples Grape 392 Grape 396 Town Green 397 401 Dougherty Green 402 Magic Green 406 Deep Brown 412 Burnished Gold 414 Bourget Cream 416 Gold 417 Florida Gold 422 French Beige 423 428 429 Claret 432 Tangy Drab 435 Limoges Blue 439 Cocoa Tan 444 446 Old Chestnut 448 Taffy Tan 450 Light Chestnut 453 454 464 Canvas Beige 467 469 Burnt Taupe 472 Gothic Green 473 Pink Tulip 474 Light Thistle 480 483 487 493 495 496 497 Stormy Channel 503 Khaki Tan 512 Plum 517 Platonic Plum 519 Shrimp 528 537 Blue Jean 540 542 545 555 561 Forestry Green 568 Wing Tip 575 Black Grape 580 Lemon 582 591 593 Dusk Blue 597 Fiber Green 610 Eggshell Cream 624 Light Medoc 631 Wildheather 633 634 Grey 635 636 639 Mint Julep 650 Punch Brown 655 656 Nebular Beige 659 Rosy Cheek 660 663 665 Midnight Navy 669 671 672 673 674 Colonial Brown 676 678 681 682 687 689 694 New Chestnut 696 Colonial(1) 697 Dark Walnut 701 Slate 702 Dark Continent 707 Spectrum Green 716 Dark Lilac 718 Light Adamia 722 Lite Suntan 724 Aswan Beige 727 755 759 Medium Blue 761 Blue Donahue 762 764 Greenish Navy 767 769 780 788 Marine Aqua 799 800 White 802 Pearl 810 Wild Grape 815 Biscuit Tan 816 817 818 Sea Gull 821 824 Olive Drab 827 833 Crisp Green 842 Dark Pyrite 850 851 854 861 Army Green 868 Dark Beige 870 Totem Green 883 886 887 Gillagan Beige 890 Rose Lips 893 Tan 904 Deep Ocean 912 Rajah Purple 919 Fern Green 920 Sagebrush 931 Hunt Green 934 937 Engadine 955 967 Magnet Blue 968 Chamois 972 979 Octavia 982 Brickstone 984 991 Peach Beige 998 999 1036 1068 1217 1232 1254 1274 1512 1560 1643 1647 1823 1889 1932 2017 2037 2086 2111 2167 2246 2329 2528 2549 2557 2613 2659 2826 2827 2878 2958 3454 3499 3529 3549 3681 3722 3725 3791 3796 3808 3811 3835 3836 3837 3853 3871 3889 3894 3897 3904 3911 3924 3927 3933 3944 3945 3946 3947 3964 3969 3977 3981 4015 4032 4057 4147 4298 4335 4401 4534 4547 4567 4615 4773 4816 4833 4935 5024 5039 5096 5102 5250 5396 5515 5520 5618 5822 5883 5901 6227 6415 6482 6712 6808 7568 7616 7905 7996 8102 8263 8363 8423 8607 8617 8772 9019 9110 9219 9333 9414 9444 9508 9637 9664 9679 9833 000 Black. Select a color here: 1 Eggshell 7 Sunray 8 Nickel 11 True Navy #3 16 Steaming Red 19 Urania 22 23 Dark Chestnut 32 35 Dark Platinum 36 Hoboken 37 Post Blue 38 Silver 40 Medium Grey 50 52 Carolina Rose 64 Chicory 74 75 Chambray Blue 76 80 Clove Rose 82 93 Medium Gunmetal 95 96 107 108 Malaga 111 Off White 118 Tuskegee Grey 130 Polish Purple 132 141 143 Airway Blue 158 Asta 160 164 169 Jasper 174 Dark Cordial 189 Peacock Teal 190 193 202 Crushed Grape 208 209 210 211 Light Lilac 213 Light Wedgewood 214 Banda Blue 215 Smoky Beige 216 Mid-chocolate 226 Retail Red 232 Yale Blue 241 Beaver 245 Classic Clay 247 Purple 251 259 Londonberry 261 Pewter 269 Dark Olive Drab 275 276 Falaise Blue 297 Samoa 299 311 Chip Blue 315 Dark Sapphire 320 Solar Glow 321 Fuchsia 325 Sunlight 327 Yellow Corn 334 Light Chartreuse 336 Spring Green 339 True Navy #2 340 Geneva Green 362 Aztec Gold 364 True Red 365 Artillery 367 Signal Red 368 Spring Wine 369 Brandywine 372 373 375 Rubytone 382 Raspberry 387 Dark Navy 412 Burnished Gold 414 Bourget Cream 417 Florida Gold 422 French Beige 432 Tangy Drab 435 Limoges Blue 453 454 461 Medium Cordial 464 Canvas Beige 472 Gothic Green 473 Pink Tulip 474 Light Thistle 480 487 493 495 496 497 Stormy Channel 512 Plum 537 Blue Jean 542 545 553 568 Wing Tip 578 Light Lemon 580 Lemon 585 Velvet Green 586 Passionfruit 593 Dusk Blue 597 Fiber Green 600 610 Eggshell Cream 616 624 Light Medoc 631 Wildheather 633 634 635 636 639 Mint Julep 655 656 Nebular Blue 658 Orchid Pink 659 Rosy Cheek 665 Midnight Navy 681 682 687 689 696 Colonial(1) 701 Slate 702 Dark Continent 707 Spectrum Green 714 Sistine Blue 715 Mermaid 716 Dark Lilac 722 Lite Suntan 727 728 Peppermint Pink 758 Pink 759 Medium Blue 788 Marine Aqua 799 800 White 802 Pearl 810 Wild Grape 818 Sea Gull 824 Olive Drab 827 847 870 Totem Green 875 Steel Grape 889 Bermuda 890 Rose Lips 893 Tan 903 Copenhagen 909 Dark Carmine 914 Powder Green 919 Fern Green 934 Auburn 937 968 Chamois 982 Brickstone 984 991 Peach Beige 998 Black 000 Black 1095 1218 1274 Black 1471 2017 2037 2443 2549 2723 2738 3721 3969 4147 8263 9414 9637 9664. Select a color here: 800 White 4147 Natural 8372 (Not shown) Navy 635 Grey. Select a color here: 800 White 111 Off White 464 Bourget Cream 540 696 Colonial(1) 365 Artillery 11 True Navy #3 339 True Navy #2 472 Gothic Green 824 Olive Drab 854 633 702 Dark Continent 164 40 Medium Grey 000 Black. Select a color here: 800 White 111 Off White 180 Oakleaf 464 Canvas Beige 722 Lite Suntan 540 696 Colonial(1) 365 Artillery 25 North Blue 339 True Navy #2 247 Purple 889 Bermuda 368 Spring Wine 474 Light Thistle 824 Olive Drab 676 467 854 633 132 702 Dark Continent 681 496 40 Medium Grey 8 Nickel 000 Black. Select a color here: 111 Off White 578 Light Lemon 591 180 Oakleaf 464 Canvas Beige 216 Mid-chocolate 540 694 New Chestnut 696 Colonial(1) 934 Auburn 351 Sunburst 365 Artillery 210 519 Shrimp 924 Asian Aqua 195 Mahara Blue 11 True Navy #3 339 True Navy #2 143 Airway Blue 311 Chip Blue 322 Light Royal 810 Wild Grape 158 Asta 889 Bermuda 368 Spring Wine 235 472 Gothic Green 237 Engadine 152 Mint 283 Ripe Rind 467 854 702 Dark Continent 40 Medium Grey 000 Black. Select a color here: 40 Medium Grey 111 Off White 132 722 Lite Suntan 800 White 824 Olive Drab 854 000 Black. Select a color here: 800 White 111 Off White 414 Bourget Cream 722 Lite Suntan 694 New Chestnut 365 Artillery 382 Raspberry 339 True Navy #2 118 Tuskegee Grey 676 702 Dark Continent 496 40 Medium Grey 000 Black. 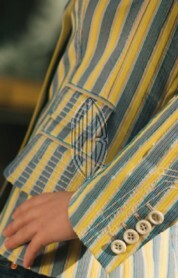 Applications include edge neatening, serging fine menswear fabric. 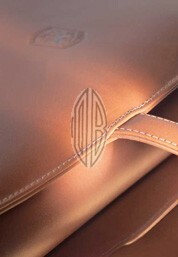 We stock 3 basic colors! 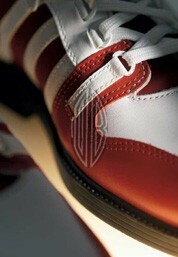 Select a color here: 800 White 111 Off White 000 Black. 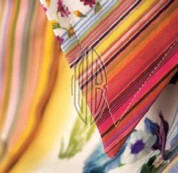 For applications requiring the current fashion world want trendy decorative seams. Opens up much more design possibilities for garment designers. 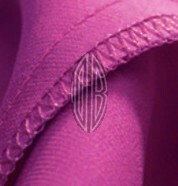 Diva 20 – tex 150 emphasize it’s look in coarse and decorative seams. 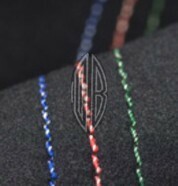 A sportive and soft appearance with a soft touch are further advantages of this new bi-tonal special sewing thread and sets a glowing and unique course. 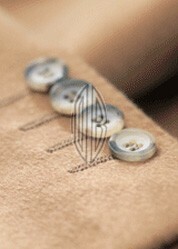 The thread should be produced with needle size Nm 160 to Nm 180 and creates high-class decorative seams. 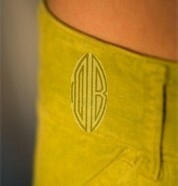 We stock in 6 trendy color composition! Select a color here: 000 Black 232 Yale Blue 340 Geneva Green 367 Signal Red 542 OB Dark Grey 696 Colonial(1). For applications requiring garment dyeing of cotton. 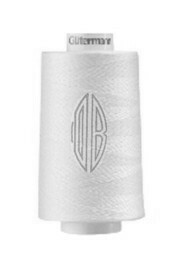 We stock this dye-able thread which is actually provided appearing as color number 111, Off White. 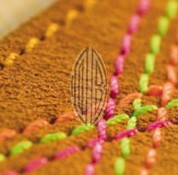 For applications requiring smocking and shirring. 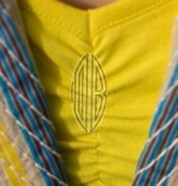 It can also be knitted into welts for added elasticity. Today, smocking is a fashion phenomenon which has gained an established place in the manufacture of blouses, skirts, dresses and other women's fashion items. Gütermann has addressed this growing trend with its Elastic product. Select a color here: 4017 OB Black 5019 OB White 4009 OB Yellow Gold 1028 OB Buff Tan 4002 OB Dark Brown 2063 OB Red 3055 OB Fuchsia 2747 OB Pink 5262 OB Navy 6037 OB Light Blue 7844 OB Teal 8644 OB Green 1505 OB Medium Grey 8387 OB Light Grey. Copyright © 2005 Oshman Brothers, Corp. All rights reserved.